• Download this free pack worth $104 while it last! Thanks for your message. Apologies for this, you could let your readers know to check their account and download the bundle under their ‘Purchases’ (the little cloud icon with an arrow). 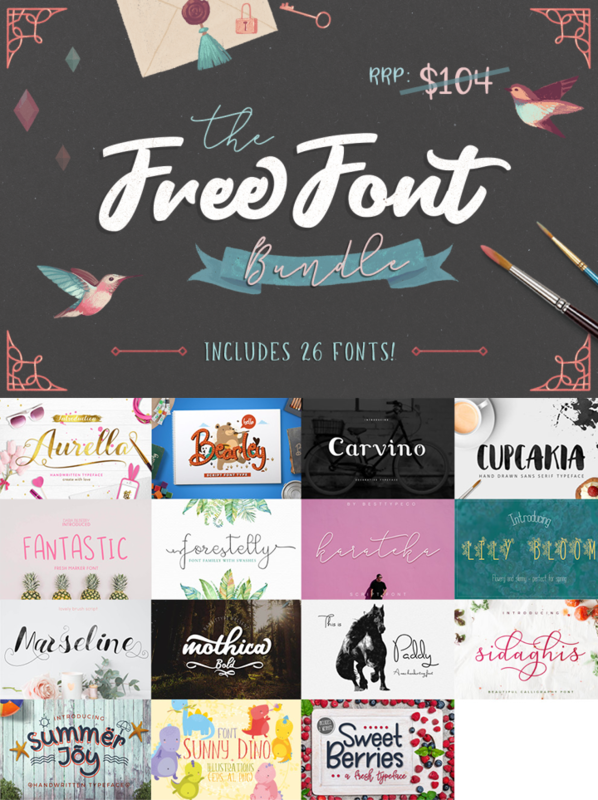 fabulous new free font bundle! I couldnt get it. I´ve an account, but couldn´t reach the FB or twitter button. Please, somebody help me ! thank you for all the lovely fonts ! and thanks to the hungry J peg also! i just downloaded it via the facebook button and it worked perfectly. Hugs ! You Are SO Welcome Marisa!! :D Enjoy!! SO HAPPY TO GET PRETTY AND FREE FONTS. SINCERELY THANKS.